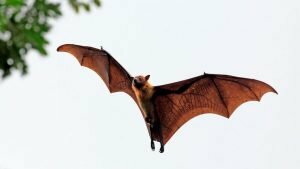 The States’ Health Department has confirmed the Nipah Virus (NiV) infection for the first time in India after the death of three people in Kozhikode, Kerala. The virus samples were collected from the blood and body fluid samples. The three people were said to be dead due to the presence of zoonotic disease. According to the World Health Organisation (WHO), Nipah virus infection in humans has a range of clinical presentations such as asymptomatic infection, acute respiratory syndrome, and fatal encephalitis. Dr. R. L. Sarita, Director of Health service in Kerala, has released a statement regarding the making of a task force for the emergency treatment in the state. The Director of National Centre for Disease Control is expected to lead the work with the state government. The Nipah virus or NiV infection has symptoms such as breathing trouble, fever, headache, inflammation of the brain, drowsiness, delirium, and disorientation. A patient can slip into a coma within 45-48 hours. It also said that the infections from the virus can lead to the acute respiratory syndrome and fatal encephalitis in humans, as well as the virus, is capable of causing diseases to domestic animals. The natural host of the Nipah virus is fruit bats of the Pteropodidae Family, Pteropus genus. 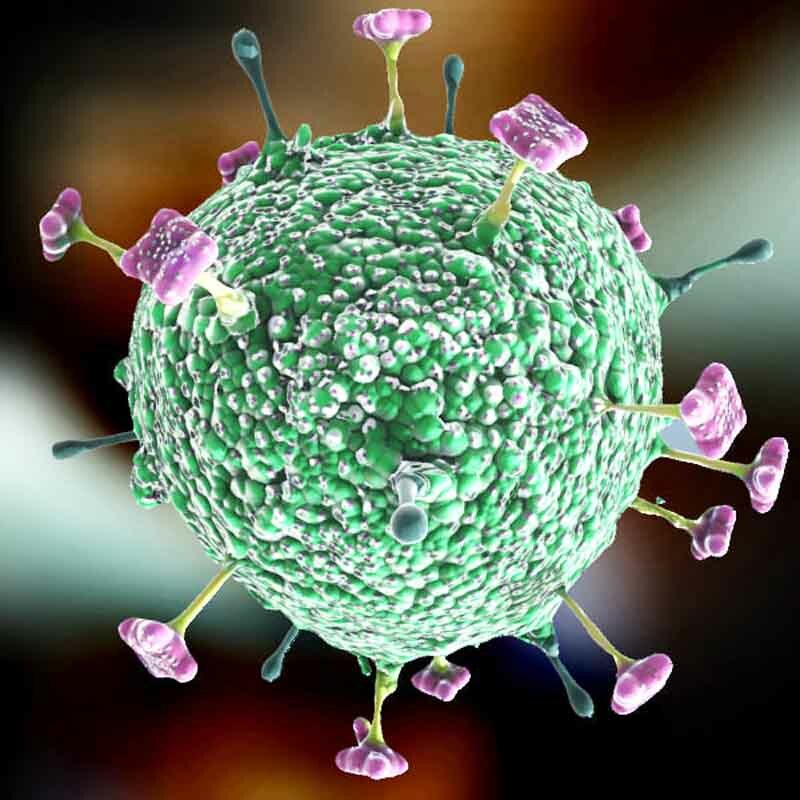 The Nipah (NiV) virus is associated with encephalitis (inflammation of the brain). Its common symptoms are fever, headache followed by drowsiness, mental confusion, and disorientation. The infection with the virus has neurological as well as pulmonary signs. The long-term sequelae of the virus are associated with persistent convulsions and personality changes. There is no vaccine of the virus for either humans or animals. The primary treatment which is associated with the infection for human cases is intensive supportive care. 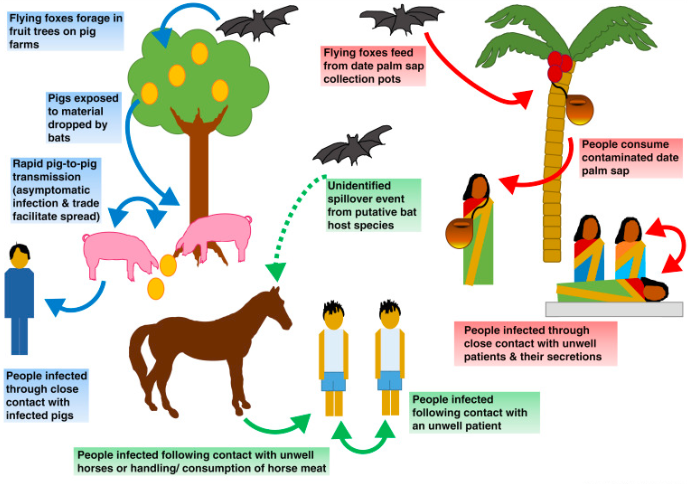 Above image discusses the transmission of a zoonotic paramyxovirus and the Nipah virus through animal to human. We can simply say that bats are the primary source of transmission of the virus and other secondary sources are animals like pigs and horses. Another news is coming from Kerala regarding the death of a nurse named Lini Puthussery due to the virus who was on the team that treated the first victim of this virus at Perambara hospital in Kozhikode. During her last moment, she wrote a short note for her husband asking for taking care of her children “Saji Chetta, I am almost on my way. I don’t think I will be able to see you. Sorry. Take care of our children properly. Our innocent child, take him to the gulf. They shouldn’t be alone like our father. Lots of love…” she wrote in the note. After her death, her dead body was cremated quickly on Monday (21st May )so the infection wouldn’t spread to other persons.